<!-black-> The division landed on Omaha Beach on D-Day + 1 (June 7, 1944) in Normandy, France. The 2ID was part of General Omar Bradley's First Army. Our brave men fought their way across Europe and were in Pilsen, Czechoslovakia, when the war against Germany was over with on May 8, 1945. <!-black-> As part of the build up for operation Overload, the Normandy invasion, the 2d Infantry Division was transferred from fort Sam Houston to Ireland in October, 1943. There it spent ten months undergoing extensive training. On 7 June, 1944, D-Day + 1, the division stormed ashore at bloody Omaha Beach. While other units were stalled by the determined German resistance to the west, the Indianheads blasted through the hedgerows of Normandy. After fierce, 39-day battle, the 2d Division, fighting in the streets and alleyways, finally took their objective as the vital port city of Brest, which was liberated on 18 September, 1944. 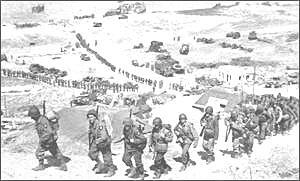 Once mop up operations were complete in the Normandy region, the division turned west and plunged headlong across France. From positions around St. Vith, Belgium, the Second was ordered, on 11 December, 1944, to attack and seize the Roer River dams. Having pierced the dreaded Siegfried Line, the division was advancing when Nazi Field Marshal Gerd Von Rundstedt unleashed a powerful German offensive in the Ardennes. Throughout this Battle of the Bulge the 2d Infantry Division held fast, preventing the enemy from seizing key roads leading to the cities of Liege and Antwerp. <!-black-> Resuming the offensive on 6 February, 1945, the division joined the race to annihilate the fleeing Wehrmacht. Transferred from the First Army to Patton’s Third Army, the Indianheads spent their last days of the European War in a dash across Czechoslovakia, finally halting in the town of Pilsen. This city became a meeting point between invading armies from east and from west. 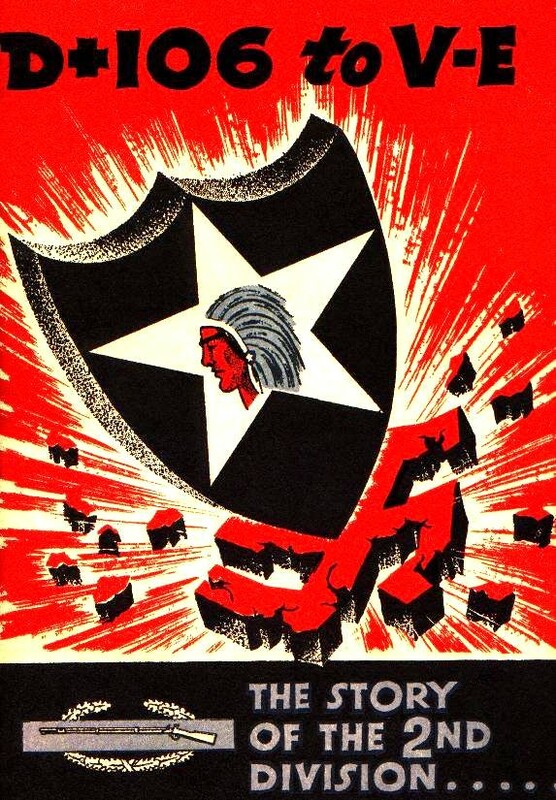 It was in Pilsen that the soldiers of the 2nd Infantry Division first met their Soviet allies who represented the forces of communism that they would face so often in the future, no longer as allies. <!-black-> The division participated in the Normandy, Northern France, the Rhineland, Ardennes-Alsace, and the Central Europe Campaigns of World War Two. 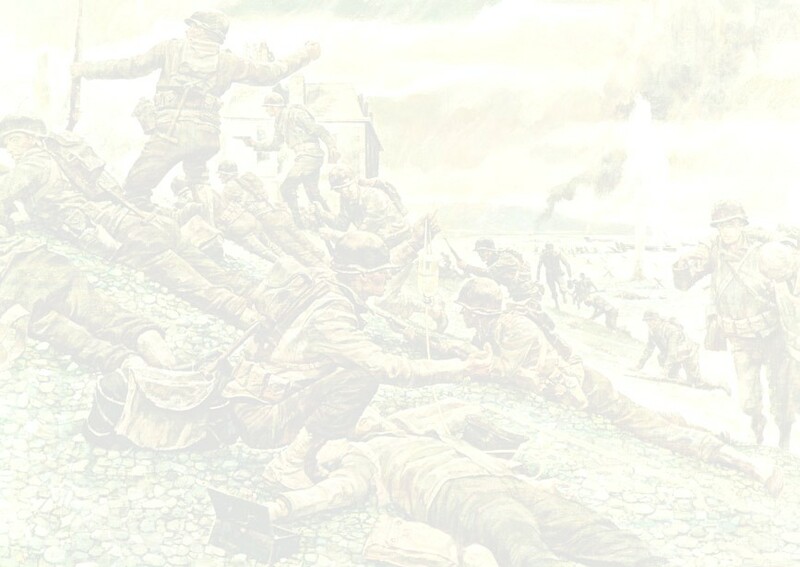 The Division suffered 3,031 killed in action and 12,785 wounded in action during the war. <!-black-> The Second Infantry Division arrived back home at Ft. Swift, Texas on July 22, 1945. 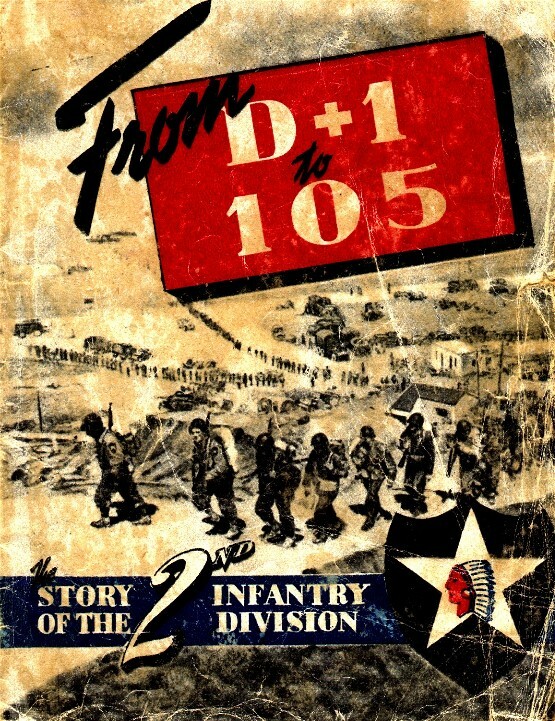 Note: I quote this division history D+1 to D+105 in the above mentioned diary of Sergeant Rice. I quote it in blue print. Just click on the photo of the cover to go there. <!-black-> Shipped to Europe as a replacement, he took command of Company I, 23rd Infantry in early September of 1944. He was in command of Company I in an action during the Battle of the Bulge in which the 3rd Battalion received the Presidential Unit Citation. <!-black-> Note: there was a black and white movie produced in 1950 titled Breakthrough that highlighted the U.S. infantryman's fight through the Normany hedgerows shortly after D-Day. 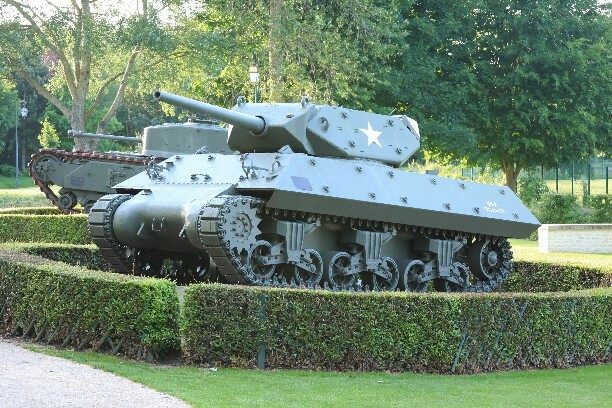 It stared the U.S. first infantry division- that division was on the left flank of our second division at that time in Normandy. I mention this so you can have an opportunity to see what hedgerow fighting was like in Normandy at that time. It stars David Brian, John Agar, and Frank Lovejoy. I know my father hated fighting in those hedgerows and talked about them much of the time after the war. I have this movie on dvd and I recommend that you purchase it from someone who has it for sale. It is a part of the Warner Brothers archive collection. <!-black-> Do You Want to Join a 2ID World War 2 Discussion Group about the U.S. Second Infantry Division in World War Two? and click on "join this group"
Then you can send emails to the group or go to the site in person and post a query or message there for all to read and respond to. 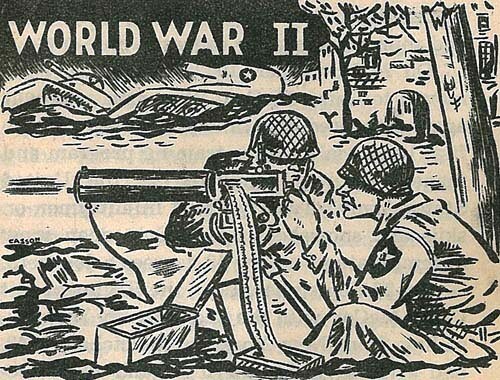 While there you might want to view some photos or read some messages there pertaining to the 2ID during WW2. The messages contain info about people, places, and things. And about how things were during those days. 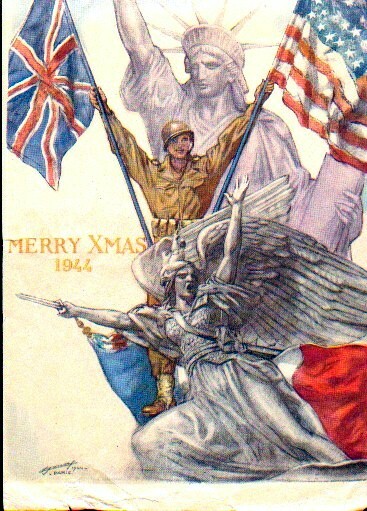 Queries about any vet who fought in the 2ID (during WW2 only) are welcome there, as well. <!-black-> Also at this site is posted the history of the 2ID, more war stories, and more info. It is a great place for members to communicate with one another. Note: Yahoo and yahoogroups require you to become a member at yahoo.com before you can view their sites. Membership is free. <!-black-> This Yahoo site has a lot of members who have knowledge about the 2nd Infantry Division during World War 2. It's a message board kind of site where you can ask questions and submit queries. Many members there have written books that might be helpful to you and they can advise you as to the titles, price, and availability.